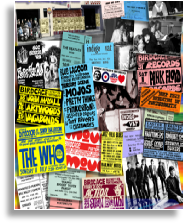 The Walls of Fame are timelines showing photographs of local musicians from the 1950s dance bands, rock, pop, folk, psychedelic and progressive bands of the 1960s, punk bands of the 1970s through to the year 2000. 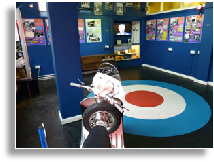 A 9’ roundel on the floor of the 1960s Gallery, a Lambretta TV 175, large display panels with text, photographs, posters, venues and music from our online AaA Music Radio station take visitors back to that great era. 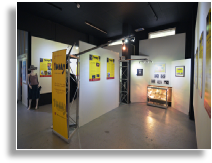 The exhibition gallery is a multi-media space able to display large local & touring exhibitions. 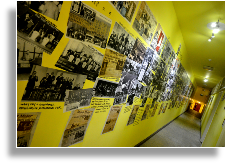 By sub-dividing the gallery it can be reconfigured to form three smaller galleries to display individual exhibitions. 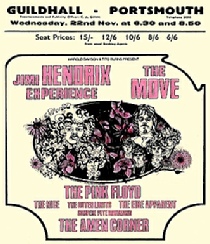 The Guildhall Gallery is covered with posters, tickets and photos of many top names from the past and present including the Beatles, Rolling Stones, Bob Dylan, Led Zeppelin, Pink Floyd and the Who. 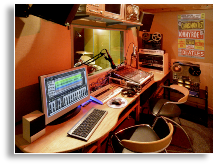 The Recording Studio can record to 16 track digital media and 8 track analogue reel to reel tape. 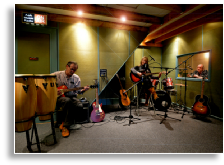 The resource will include basic level music instruction and recording and editing workshops for all ages. 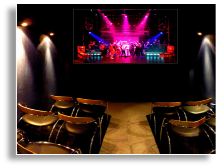 Cinema 16, a bijou cinema so named because there are eight seats either side of the gangway. The cinema also participates in the annual Making Waves Festival. Memories and local music related stories from around the area. 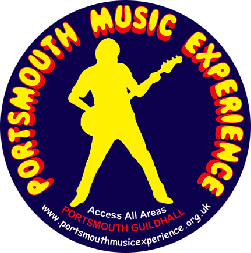 Portsmouth Music Experience Radio will begin broadcasting online in May 2015. The visitors book has many interesting entries; the most common word is ‘memories’. 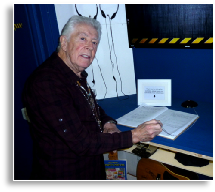 Here John Mayall is signing the visitors book. 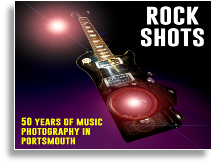 An exhibition celebrating the work of eleven Portsmouth based photographers who are displaying their images of local and national bands taken over the last 50 years. Floor plan showing locations of the displays. 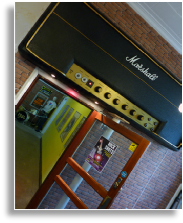 The Sound of Portsmouth is a one-off programme exploring the history of Portsmouth's music scene. 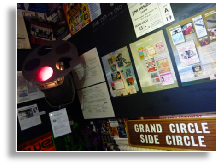 Produced by 2nd Year BSc Television & Broadcasting students and 2nd Year BSc Entertainment Technology for the taught unit CT5LIV, with Nigel Grundy talking about the Portsmouth Music Experience exhibition and Dave Allen talking about the local music scene. Notice from the 1960s, prohibiting photography. 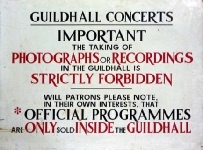 Photography, filming and recording is still prohibited in the Guildhall; anyone caught doing so will have their equipment taken off them. Links to You Tube movies of bands at Portsmouth Guildhall.